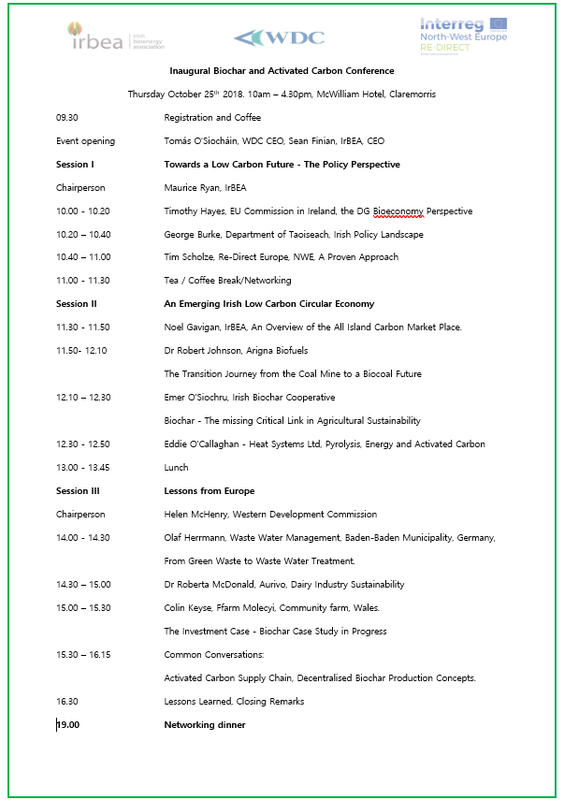 The Irish Bioenergy Association and the Western Development Commission invites you to a Biochar and Activated Carbon Conference in Mayo on the 25th October. This event will build understanding, raise awareness and help showcase the potential for carbon. Visiting partners from the RE-DIRECT project will present on installed technology at two sites in Germany and Wales.